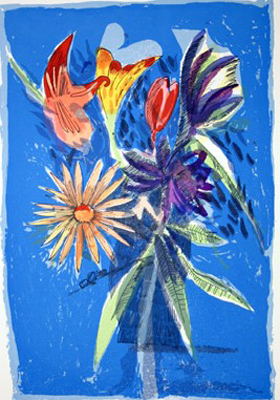 This is a Charles Blackman artwork titled Melbourne Cup Bouquet from 1989, it is a screen-print Signed by Charles Blackman, the Image is 85×86 cm Ireg, Paper size is 100x70cm , This is a rare image and has been sold out for some time. It is New and never been framed. Free Delivery in Australia, registered and insured. This piece is the only one we have left.